The Great Debate! : Episode XXV - Are We Dead Yet? Hapless entertainer Jim Ryan pits his characters against each other in a series of no-holds-barred debates covering anything and everything about role-playing games. But can he do it in under five minutes? Tune in and find out! I delight in feedback! Send it my way! Feel free to check out my blog, where I attempt to unravel the mysteries of geek culture and then cover them back up with something equally inexplicable. 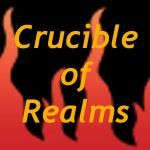 This is another podcast I do with some friends of mine in which we build a new setting each episode! 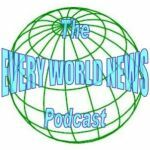 This is yet another podcast of mine, chock full of major news events from various alternate realities! The theme for the Great Debate! is "Busybody" by Jason Shaw. Suffering from podcast addiction? Can't get enough of that dangerous and delectable podcast nectar? Episode XXV - Are We Dead Yet? Just how permanent should PC Death be? Two priests squabble over the issue.